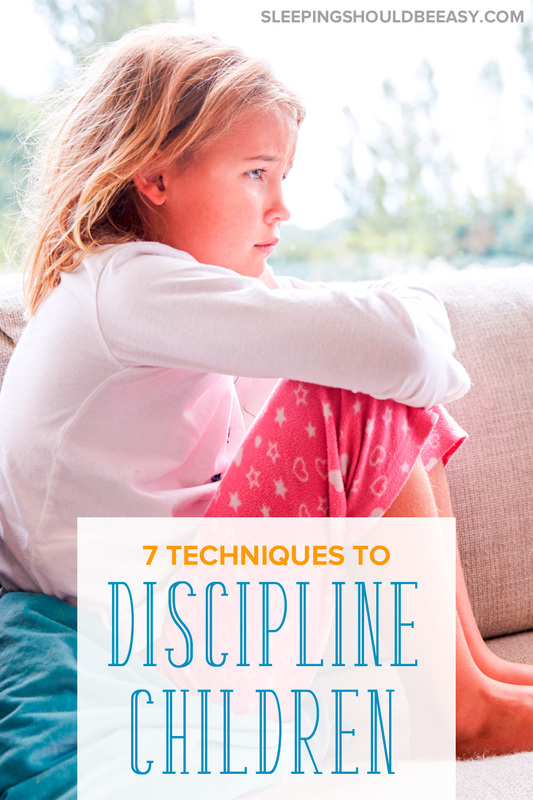 Discipline is nothing more than teaching our kids how to behave and manage their emotions. Read these 7 effective ways of disciplining children. When you hear “discipline,” you might think of unruly kids and their parents trying to rein them in. Maybe time outs or counting to three, or punishment, grounding and spanking. But we forget that discipline means teaching behavior, including how we should act. Discipline doesn’t have to be negative. Imagine yourself as a teacher helping your child behave, manage emotions and learn. And so, giving blanket discipline advice can be tricky. We can tell a fellow mom to try time outs. But how much do we know about her situation, her children or how she handles other aspects of parenting? Discipline isn’t just “what to do when your kid acts up.” It should also include teaching your child how to act in general. Sometimes I can’t believe what sets my three-year-old off. II used the wrong color crayon or he’d rather stay in the van than go inside. But when I think about what else could be bothering him, most cases point to the same culprits. He’s hungry, sick, tired, or emotional. When I address those issues first, I can usually avoid a catastrophe in waiting. You’re here to help your child, and the best way to do that is to remain calm. Yes, even when she’s yelling and crying and you’re ready to drag her by the arm and march her to a corner. You’re on the same team, and often, matching her frustration with your own does little to calm her down. Staying calm is effective, especially since kids feed off your emotions. Learn what to do when you can’t stop yelling. One of the most important reasons to stand your ground is to protect your child from himself. When he’s throwing a tantrum, emotions are flying high. He needs someone bigger than him to rein in his frustrations. Explain what is acceptable and what isn’t (“We do not do that,” “You have no right to hit her,”). Most importantly, follow through and remain consistent. If possible, redirect your child’s antics to something similar but more appropriate. Your son wants to color on the wall? Honor the impulse and acknowledge his desire to color. But redirect him to a more appropriate activity, such as coloring on paper or outside with chalk. The activity should be similar—don’t suggest playing with a ball when he wanted to color. We all have to pick our battles. Choose the non-negotiable boundaries and stick to it. Then, let the little things slide. Your child will learn what’s important to your family while exploring within those limits. 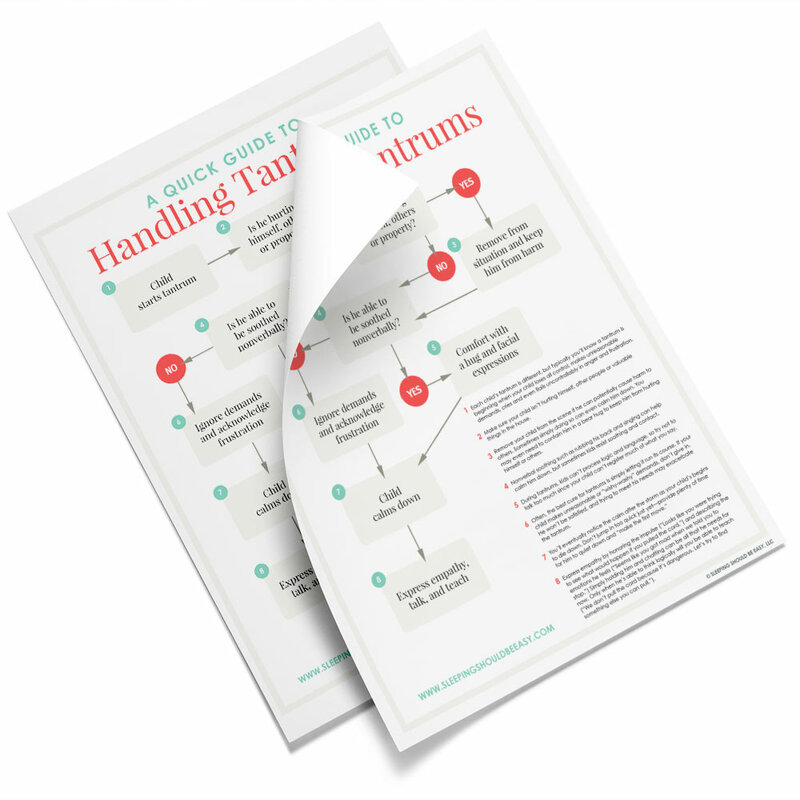 Read more about setting boundaries. “Punishment” can work when the consequences follow the act. Is your kid thrashing around a toy and potentially breaking it? A natural consequence could be to take the toy away from him until he learns not to do that. Telling him he can’t go to to the park isn’t enough of a natural tie to the misbehavior. It’s so easy to react that we feed off one another’s emotions before we know what’s going on. Instead, stop and listen. Maybe that means you’re hearing out what your child is complaining about. Or maybe it’s taking a breath and assessing the situation before acting. As you can see, discipline can be a mixture of different methods, and what may work one day may not work the next. And as any parent can attest, sometimes you lose your cool. It happens, and we all try to do our best. Discipline is teaching how to act appropriately, deal with frustrations, and harness their self-control. Not the punishment or tactic we use after the kids act up, but rather what we do every day to show them right and wrong. How do you define ‘discipline’? What methods of discipline have worked for you, and which haven’t? I agree that our thoughts about discipline are a little skewed. I like to think of discipline as teaching more than punishment. Same here, Steph. I think if the punishment is a natural consequence of the kid’s misbehavior, then sure, but if it’s too much of a stretch, I’m not sure how punishment can be effective. Plus I think punishment should also be a second thought; we really should focus more on the other points like finding out the reason behind the misbehavior, or showing empathy, etc. Janet, sometimes a good hug works just as well 🙂 Just yesterday my kiddo was fussy and after trying to figure out what in the world is going on to no avail, I just said, “Come here for a hug.” I guess he was feeling emotional and needed a nice tight hug. Absolutely, Kristen! It’s funny how you think you have a formula down but then it doesn’t work the next time, even with the same kid lol. I’m expecting twins soon and I’m curious to see how their temperaments match up to discipline—what may have worked wonderfully and easily with my three year old just may not cut it with another kid. While my son is not quite 2 yet, I also try to explain why he is getting “in trouble.” I find talking to him about the situation calms me down and he picks up on key words. Context seems so important to the action. This method works well for me too. Or rather, explaining why things have to be a certain way seems to help. My kiddo likes hearing a “reason” and that it’s not just me being a punk about it lol. I really like Steph’s comments, and the list you gave in your post. I find there are very few instances (in my family, at least), where a time-out is beneficial. Yeah, we’ve never done formal time-outs either. If anything I’ll see that we both need a break and I’ll have to step away from the room for a little bit, but that’s about it.